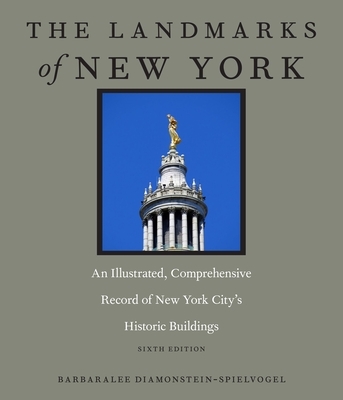 As the definitive resource on the architectural history of New York City, The Landmarks of New York documents and illustrates the 1,352 individual landmarks and 135 historic districts that have been accorded landmark status by the New York City Landmarks Preservation Commission since its establishment in 1965. Arranged chronologically by date of construction, the book offers a sequential overview of the city's architectural history and richness, presenting a broad range of styles and building types: colonial farmhouses, Gilded Age mansions, churches, schools, libraries, museums, and the great twentieth-century skyscrapers that are recognized throughout the world. That so many of these structures have endured is due, in large measure, to the efforts of the New York City Landmarks Preservation Commission and hundreds of private sector preservation organizations, large and small. Since the commission was established, New York City has become the leader of the preservation movement in the United States, with more buildings and districts designated and protected than in any other city. The Landmarks of New York includes such iconic structures as Grand Central Station, the Chrysler Building, the Metropolitan Museum of Art, and Carnegie Hall, as well as those that may be less well known but are of significant historical and architectural value: the Pieter Claesen Wyckoff House in Brooklyn, the oldest structure in New York City; the Bowne House in Queens, the birthplace of American religious freedom; the Watchtower in Marcus Garvey Park in Harlem; the New York Botanical Garden in The Bronx; and Sailors Snug Harbor on Staten Island. The sixth edition adds 106 new individual landmarks, two special addenda on the hotly-contested "back-log" and resultant 30 pending designations, over 150 new photographs, and new historic district maps.